Holzer, Harold, Lincoln Takes the Heat, Civil War Times, February 2001). Jennison, Keith W., The Humorous Mr. Lincoln, (New York: Bonanza Books, 1965). Thomas, Benjamin, Lincoln's Humor: An Analysis, (Journal of the Abraham Lincoln Association, 1981). Thomas, Benjamin; Michael Burlingame, editor Lincoln's Humor and Other Essays, (University of Illinois Press, 2002). Warren, Louis Austin, Little Known Lincoln Humor, (Lincoln National Life Insurance Co., 1937). Zall, Paul M., Abe Lincoln Laughing: Humorous Anecdotes from Original Sources by and about Abraham Lincoln, (University of California Press, 1982). Dunning, Lloyd, editor Mr. Lincoln's Funnybone, Wherein the White House Joker Retells His Best Yarns & Fables, (Howell, Soskin, 1942). McClure, Alexander K., Lincoln's Yarns and Stories (1904), ((1904) published as Abraham Lincoln's Humorous Stories, El Paso Norte Press (January 30, 2006)). Nevins, Allan and Irving Stone, editors Lincoln: A Contemporary Portrait, (Mort Lewis, "Lincoln's Humor"). Strozier, Charles B., Lincoln's Life Preserver, (American Heritage, February-March 1982). Artist Francis B. Carpenter recalled, “Attorney-General Bates was once remonstrating with the President against the appointment to a judicial position of considerable importance of a western man, who, though once on the ‘bench,’ was of indifferent reputation as a lawyer. Don E. and Virginia Fehrenbacher, editors, Recollected Words of Abraham Lincoln, p. 417. Allen Thorndike Rice, editor, Reminiscences of Abraham Lincoln, p. 443 (David R. Locke). Allen Thorndike Rice, editor, Reminiscences of Abraham Lincoln, (George W. Julian), p. 54. Allen C. Guelzo, Abraham Lincoln: Redeemer President, p. 361. Henry Villard, Memoirs of Henry Villard, Journalist and Financier, 1835-1900, Volume I, p. 143. Allen Thorndike Rice, editor, Reminiscences of Abraham Lincoln (Hugh McCullough), p. 414 . Hugh McCulloch, Addresses, Speeches, Lectures, and Letters Upon Various Subjects(Address delivered at Fort Wayne, October 11, 1865), p. 43. Keith W. Jennison, The Humorous Mr. Lincoln , p. 1. Henry Clay Whitney, Life on the Circuit with Lincoln, p. 178. Walt, Whitman, Complete Prose Works, p. 331. William Howard Russell, My Diary North and South, pp. 43-44. Francis Browne, The Every-Day Life of Abraham Lincoln, pp. 488-489. Henry Clay Whitney, Life on the Circuit with Lincoln, p. 179. Harold Holzer, Lincoln Takes the Heat, Civil War Times, February 2001. Noah Brooks, Washington, D.C. in Lincoln’s Time: A Memoir of the Civil War Era by the Newspaperman Who Knew Lincoln Best, p. 257. Benjamin Thomas, Lincoln’s Humor: An Analysis, Journal of the Abraham Lincoln Association, 1981, p. 34. Ward Hill Lamon, Recollections of Abraham Lincoln, pp. 16-17. F. Lauriston Bullard, Was “Abe” Lincoln a Gentleman?, pp. 4-5. Douglas L. Wilson and Rodney O. Davis, editors, Herndon’s Informants: Letters, Interviews and Statements about Abraham Lincoln,(Milton Hay and David Litter interview with William H. Herndon), pp. 716-717. Henry Clay Whitney, Life on the Circuit with Lincoln, page 174. Herring Chrisman, Memoirs of Lincoln, pp. 61-62. William H. Herndon and Jesse W. Weik, Herndon’s Life of Lincoln, p. 310. James Speed, Oration of James Speed Upon the Inauguration of the Bust of Abraham Lincoln, p. 5. Rufus Rockwell Wilson, editor, Intimate Memories of Lincoln (Thomas W. S. Kidd, Address to Bar Association of Sangamon County), April 25, 1903, p.75. Rufus Rockwell Wilson, editor, Intimate Memories of Lincoln(Thomas W. S. Kidd, Address to Bar Association of Sangamon County), April 25, 1903, p.90. Harold Holzer, editor, Lincoln as I Knew Him: Gossip, Tributes & revelations from His Best Friends and Worst Enemies, (John H. Littlefield, The Independent, 1895), p. 73. Harold Holzer, editor, Lincoln as I Knew Him: Gossip, Tributes & revelations from His Best Friends and Worst Enemies, (John H. Littlefield,The Independent,1895), p. 73. Joseph Fort Newton, Lincoln and Herndon, p. 250. Doris Kearns Goodwin, Team of Rivals: The Political Genius of Abraham Lincoln, p. 151. Osborn H. Oldroyd, editor, The Lincoln Memorial: Album-Immortelles,(Alexander H. Stephens), p. 241. Allen C. Clark, “Abraham Lincoln in the National Capital,” Journal of the Columbia Historical Society, (Samuel C. Busey, Personal Reminiscences and Recollections, p. 25. ), Volume XXVII, p. 4. Douglas L. Wilson and Rodney O. Davis, editors, Herndon’s Informants: Letters, Interviews and Statements about Abraham Lincoln,(Letter from Abner Y. Ellis to William H. Herndon), December 6, 1866, p. 501. Walter B. Stevens, (edited by Michael Burlingame), A Reporter’s Lincoln, p. 61. Paul M. Angle, editor, Abraham Lincoln by Some Men who Knew Him (Owen T. Reeves), pp. 21-22. Douglas L. Wilson and Rodney O. Davis, Herndon’s Informants: Letters, Interviews, and Statements about Abraham Lincoln (Letter from Joseph Gillespie to William H. Herndon, December 8, 1866), p. 508. 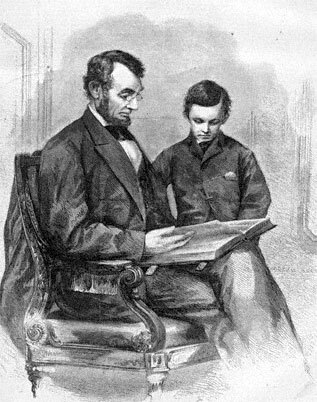 Noah Brooks, Washington, D.C. in Lincoln’s Time: A Memoir of the Civil War Era by the Newspaperman Who Knew Lincoln Best, pp. 258-259. Allan Nevins and Irving Stone, editors, Lincoln: A Contemporary Portrait,(Mort Lewis, “Lincoln’s Humor”), p. 176. Keith W. Jennison, The Humorous Mr. Lincoln: A Profile in Wit, Courage and Compassion, p. vii. Allan Nevins and Irving Stone, editors, Lincoln: A Contemporary Portrait (Mort Lewis, “Lincoln’s Humor”), p. 163. Allan Nevins and Irving Stone, editors, Lincoln: A Contemporary Portrait (Mort Lewis, “Lincoln’s Humor”), p. 165. Allan Nevins and Irving Stone, editors, Lincoln: A Contemporary Portrait (Mort Lewis, “Lincoln’s Humor”), p. 173. Benjamin P. Thomas, “Lincoln’s Humor: An Analysis,” Journal of the Abraham Lincoln Association, 1981, p. 31. Ward Hill Lamon, Recollections of Abraham Lincoln, 1847-1865, pp. 138-139. Douglas L. Wilson and Rodney O. Davis, editors, Herndon’s Informants: Letters, Interviews and Statements about Abraham Lincoln (Letter from Joseph Gillespie to William H. Herndon, December 8, 1866), p. 508. Michael Burlingame, At Lincoln’s Side: John Hay’s Civil War Correspondence and Selected Writings (“Hay’s Reminiscences of the Civil War”), p. 136. Rufus Rockwell Wilson, editor, Intimate Memories of Lincoln (James Grant Wilson, Punt’s Magazine February and March 1909), p. 434. Newton Bateman, ‘Abraham Lincoln: An Address,”(Galesburg, Illinois, Cadmus Club, 1899). Ervin Chapman, Latest Light on Abraham Lincoln and War-time Memories, p. 502. Paul M. Angle, editor, Abraham Lincoln by Some Men who Knew Him,(“Address of Richard Price Morgan at Pontiac, Illinois”, February 12, 1909), pp. 66-67. Rufus Rockwell, editor, Intimate Memories of Lincoln, p. 418 . Rufus Wilson Rockwell, editor, Lincoln Among His Friends(Charles T. White, McClure’s Magazine, December 1922), p. 141. Rufus Wilson Rockwell, editor, Lincoln Among His Friends,(Philip Clark, Chicago Times-Herald, March 13, 1901), pp. 63-64. Henry Clay Whitney, Life on the Circuit with Lincoln, p. 181. Michael Burlingame, editor, At Lincoln’s Side: John Hay’s Civil War Correspondence and Selected Writings (“The Heroic Age in Washington”), p. 128. Francis B. Carpenter, The Inner Life of Abraham Lincoln: Six Months at the White House, pp. 250-251. Keith W. Jennison, The Humorous Mr. Lincoln: A Profile in Wit, Courage and Compassion, p. xiii-xiv. Noah Brooks, Washington, D.C. in Lincoln’s Time: A Memoir of the Civil War Era by the Newspaperman Who Knew Lincoln Best, pp. 257-258. Horace Porter, Campaigning with Grant, pp. 414-415. Benjamin P. Thomas, editor, Three Years with Grant as Recalled by War Correspondent Sylvanus Cadwallader, pp. 231-232. Ida Tarbell, Life of Lincoln, Volume II, p. 192. Don E. and Virginia Fehrenbacher, editor, Recollected Words of Abraham Lincoln, p. 471. Benjamin Thomas, “Lincoln’s Humor: An Analysis,” Journal of the Abraham Lincoln Association, 1981, p. 47. Lois Einhorn, Abraham Lincoln the Oratorn, pp. 46-47. Ward Hill Lamon, Recollections of Abraham Lincoln, 1847-1865, p. 123.